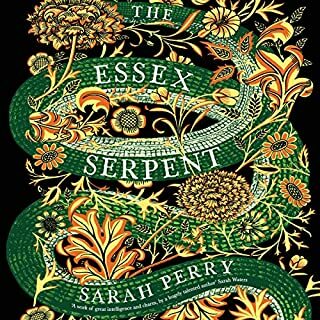 In 1780s London, a prosperous merchant finds his quiet life upended when he unexpectedly receives a most unusual creature - and meets a most extraordinary woman - in this much-lauded, atmospheric debut that examines our capacity for wonder, obsession, and desire with all the magnetism, originality, and literary magic of The Essex Serpent. One September evening in 1785, Jonah Hancock hears an urgent knocking on his front door near the docks of London. The captain of one of Jonah’s trading vessels is waiting eagerly on the front step, bearing shocking news. On a voyage to the Far East, he sold the Jonah’s ship for something rare and far more precious: a mermaid. Jonah is stunned - the object the captain presents him is brown and wizened, as small as an infant, with vicious teeth and claws, and a torso that ends in the tail of a fish. It is also dead. As gossip spreads through the docks, coffee shops, parlors and brothels, all of London is curious to see this marvel in Jonah Hancock’s possession. Thrust from his ordinary existence, somber Jonah finds himself moving from the city’s seedy underbelly to the finest drawing rooms of high society. At an opulent party, he makes the acquaintance of the coquettish Angelica Neal, the most desirable woman he has ever laid eyes on - and a shrewd courtesan of great accomplishment. This meeting sparks a perilous liaison that steers both their lives onto a dangerous new course as they come to realize that priceless things often come at the greatest cost. 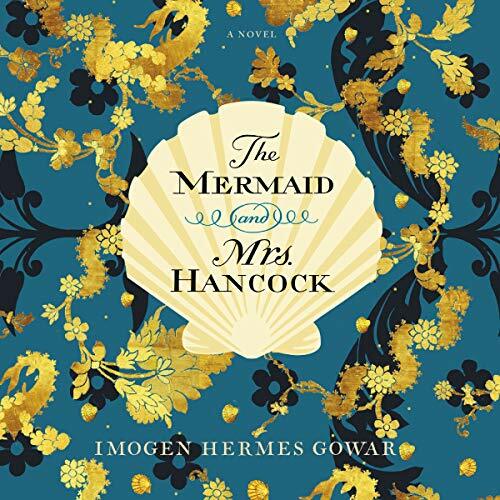 Imogen Hermes Gowar, Britain’s most-heralded new literary talent, makes her debut with this spellbinding novel of a merchant, a mermaid, and a madam - an unforgettable confection that explores obsession, wonder, and the deepest desires of the heart with bawdy wit, intrigue, and a touch of magic. Although initially promising and witty, the novel began to grate and bore. Overwrought and strangely stilted, almost like an academic assignment... no, I wonder if it is perhaps just too long. When I realised I no longer cared about any of the characters, I gave up. I gave this book six hours to improve. While the author is clearly talented, the shrillness of the way the main female character is voiced was grating and made it so that I never could immerse in the story. The plot meanders without meaning and it never pays off. If I could return it, I would. So incredibly slow I could not finish. I was bored from the first chapter to the 13th, where I finally gave up. The 13th chapter was unnecessarily pornographic. Needlessly drawn out and overly descriptive to the point of ridiculousness. I could not possibly imagine wasting another 12+ hours of my life on this book. Juliet Stevenson's reading of The Mermaid and Mrs Hancock is wonderful! As noted in the mainstream reviews of the book, it is a tour de force of picaresque writing. But it is also a vividly humanistic voyage through the dark sides of London at the end of the 18th Century. The leading characters are engaging because they are so fully drawn, and the minor characters are vivid portraits of the age. For most of the book, the listener (and I suspect a reader) is seeing London as Hogarth saw it both as an illustrator and as a magistrate. The first Mermaid, and there are two, is a grotesque and, as such. is an inescapable attraction to the London crowds to which Ms. Gowar introduces us with Hogarthian enthusiasm. The second Mermaid arrives in a mist of magical realism fills the listener with the same distress that numbs the characters. We fear for Angelica, Mr. Hancock and Suki and cannot wait to find out what will happen. As can be imagined, I recommend the book wholeheartedly, but what I recommend even more is Juliet Stevenson's reading of the book. She inhabits every character with an extraordinary variety of accents and cadences so that her audience can tell who is speaking even in a scene with three or four characters. The voices of Angelica and Mr. Hancock are particularly well chosen and give each of them a reality that a movie or stage setting would find difficult to equal. 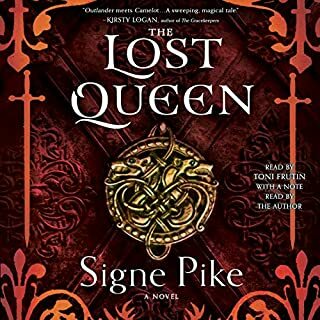 Ms. Stevenson's readings are informed by her career as one of England's leading actors and make it easy for the listener so "see" each of the book's beautifully described settings and the characters' actions. The arc that Angelica must follow in Ms. Gowar's tale is made so believable by Ms. Stevenson's reading that the listener cheers her on with great affection. And Mr. Hancock, a widowed merchant living in Dickensian gauntness in the house his grandfather built, is given a growing vitality by Ms. Stevenson's gruff but increasingly optimistic voicing. 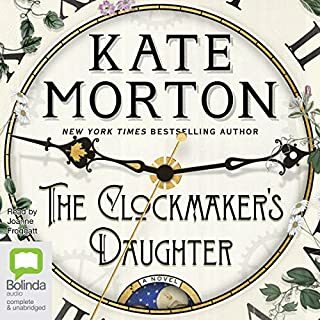 This is a full length reading, so it gives the listener ample time to enjoy an entrancing story, set in a painterly vision of 18th Century London read by the best reader that Audible has found. It is every bit as enjoyable as Ms. Stevenson's reading of Jane Austin. I really thought that I would enjoy this book and was looking forward to listening. I did finish it because I kept thinking that it has to get better. But sadly, it did not. It dragged in chapters and I wondered why some chapters were even in the book. The narration was good as there were lots of characters and I was able to distinguish them. If I were to give someone advice it would be don't waste your money or your time unless you are really into historical fiction and even then I don't know if it was accurate. I give the author points for writing it. As historical novels go, this one ranks at the highest echelon. 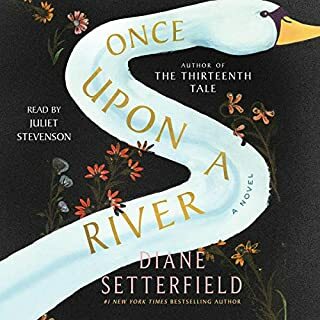 The characters’ complexities and the fascinating details of late 18th c. England coupled with the multiple voices the narrator manages merge to produce one of my best “listens” of the last five years. Thank you, Audible! This is Not a Conventional Mermaid's Tale! This is not a conventional mermaid's tale! It is a very HUMAN story. It covers a very wide range of human experience and even though it is set in the past a lot of the themes are relevant in today's modern world. The main features of this book have to do with the limited roles and status of women in 1785 and how those limits impact their lives. The story also brings up the true meaning of love and the importance of love in the lives of everyone. Note: If someone is only interested in this because of the mermaid - it would be very important for that person to read the synopsis from the Publisher. It is not a conventional mermaid. That is beside the point...this is a very well-written, imaginative, thought-provoking story. The Audible edition features a transcendent performance of all of the many character voices by Juliet Stevenson. Take this ride - go on the adventures! I was mesmerized by the narration of Juliet Stevenson. 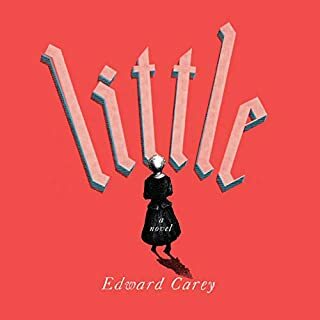 This story combines vividly drawn settings, well defined characters who are memorable and multi-faceted, and a beautiful take on the human condition, all presented masterfully by the narrator. It's a fairy tail like wonder, but for adults. wonderfully written and narrated. I don't need to say more but I can't write a review under 15 words, how ridiculous. Lovely little trip back in time, but could have used more mermaid. Pros: Beautifully written (I loved the descriptions of food, rooms, outfits) very fleshed out characters, not a predictable story line and a satisfying ending. Cons: It does get a little long winded at times where the story waxes and wanes a bit, there are a lot of people to keep up with and although the ending IS satisfying, you do kind of wish the story had maybe taken a different, more climatic turn. Or that’s just me.